An entire blog post devoted to a large pat of deep yellow Jersey butter on thick whole wheat toast? That’s what we do here at Fleming’s Bond. Ian Fleming wouldn’t just have James Bond spreading butter (and jam or honey) on his toast. It needs to be more descriptive and indicate an ambition to a higher standard of living from his star agent. The Jersey is a reference to a breed of cattle. (Nothing to do with New Jersey!) The Jersey cattle breed was originally bred on the channel island of Jersey, but has been a top export of the island since the 1700’s. 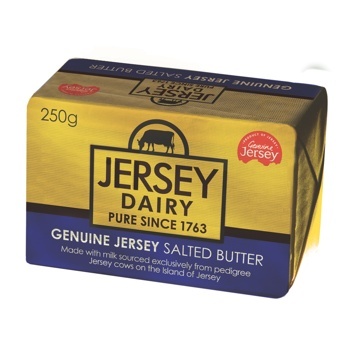 The cream from Jersey cows produces the best butter because of its higher fat content milk (4.84% butterfat and 3.95% protein), plus the fact that their fat is dispersed in larger globules than milk from other types of cows and tends to churn into butter more easily. 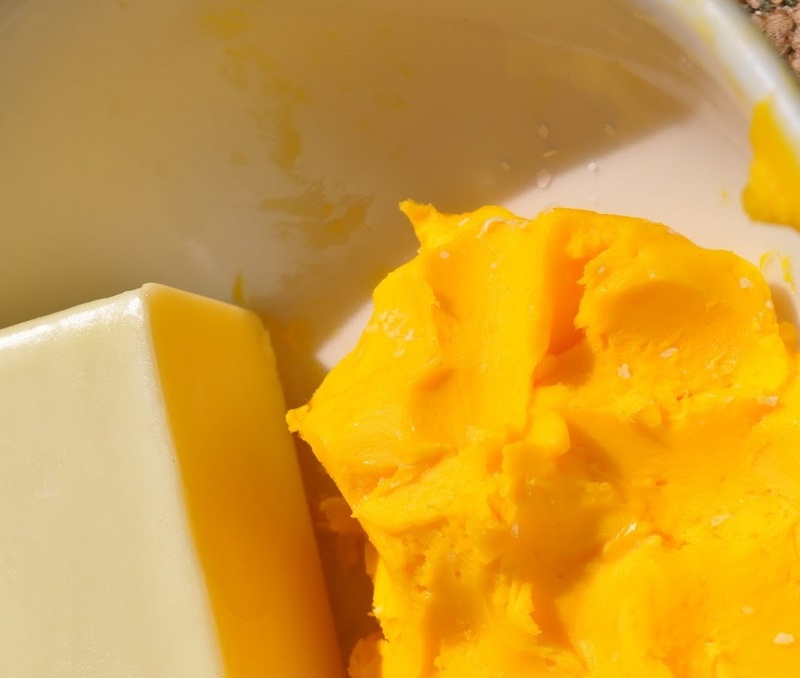 This cream is deep ivory to gold when it is from pastured cows because the plants they eat have higher beta carotene, which colors the cream more than grain. Look at the contrast here. ….you should probably try it for yourself. On thick whole wheat toast.